Lyme Regis lies within The Dorset and East Devon Coast World Heritage Site. It is England's first natural World Heritage Site, also known as The Jurassic Coast. The area covers 95 miles of beautiful coastline from East Devon to Dorset, with rocks recording 185 million years of the Earth's history. 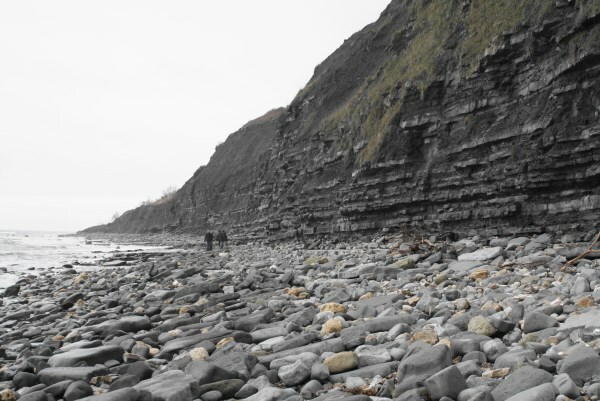 The Jurassic formations of England consist largely of sedimentary deposits laid down in a warm muddy sea approximately 200–140 million years ago. This sediment stretches in a broad diagonal band from West Dorset to North-East Yorkshire. Where the sea cuts into this band of rock forming cliffs, i.e. at Lyme Regis in the south and Whitby to the North, these areas have become world famous with geologists and fossil collectors. The cliffs at Lyme Regis are made up of maritime deposits rich in the remains of fossilized sea-creatures. They are dropped onto the beaches in profusion during landslides and sea erosion on the cliffs. The most common finds around this area are ammonites and belemnites but marine reptile bones can also be found if you’re lucky. My family have enjoyed fossil collecting in this area over the past few years. We have found ammonites and belemnites, crinoids, sea urchins, sponges, fossilized wood, shells and fish remains. Unfortunately no reptile bones yet but we are still hoping!! Just ten minute walk to the west of Lyme Regis, past the small harbour, is Monmouth Beach. 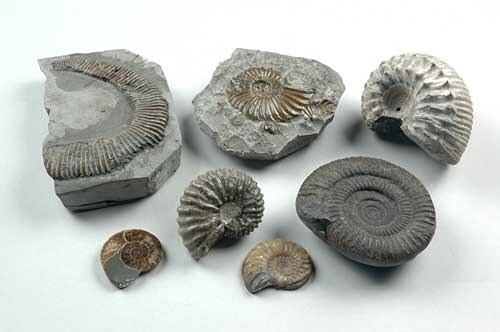 Here are the fossilized remains of ammonites, some of which measure over two feet across and are some of the oldest species of ammonite in Britain. In places they form an ammonite pavement and are impossible to extract from the surrounding rock. No attempt should be made to remove them as this will probably lead to the destruction of these irreplaceable specimens. The best place to look for fossils here is amongst the rocks and pebbles on the beach. Strong footwear is advisable on this beach due to the large ‘ankle breaker’ pebbles and rocks, and this area is not recommended for very young children. To the east of Lyme Regis are Church Cliffs and Black Ven. The debris at the foot of these cliffs is a rich source of varied fossils including ammonites and the bulletlike belemnites. The best place to find anything here is to rummage among the fallen rocks, please do not remove anything from the cliff face itself. Before you start fossil collecting in this area a visit to Lyme Regis museum or Charmouth Heritage Centre is highly recommended. 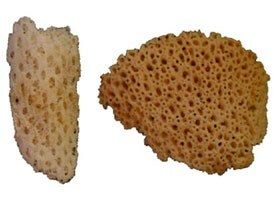 They will give you an idea of the type of fossils to be found here and the type of rock. If you find something out of the ordinary the friendly staff can usually identify it for you. By seeking this cache you accept responsibility for your own safety. Caching can be dangerous. Please assess the risk for yourself before seeking this cache. This area can be very dangerous. All children should be closely supervised. Obey all local warning notices, especially the ones about land slips and high tides!! 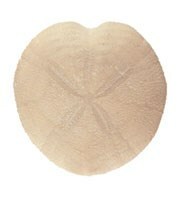 • The best and safest place to look for fossils is on the beach where the sea has washed away the soft clays and mud. Do not over collect, leave some for others. • Beware of tides, cliff falls and mudflows, especially during wet and stormy weather. The best time to go collecting is when the tide is going out. • Fossils are not to be collected from the cliffs without the permission of the landowner. If you do find a fossil in the cliffs, you must seek permission to extract it. The Charmouth Heritage Coast Centre can provide landowners' contact numbers. • Take care if using a hammer, safety goggles are recommended. • Consider how your actions may influence or affect others with less experience and remember, not everyone is here to find fossils. • Tell someone where you are going and what time you expect to return. 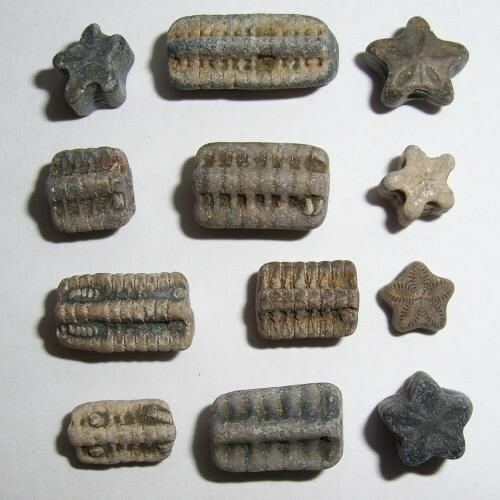 Special or rare fossils should be reported to Lyme Regis Museum or Charmouth Heritage Centre. For dog owners there are restrictions on dogs on the beaches at Lyme Regis and Charmouth at certain times of the year. Please check the local signs. What nautical object is placed at these coordinates – N 050 43.469 W 002 55.971, what date was it donated to Lyme Regis? What was the name of the person who found the first complete Ichthyosaurus at Lyme Regis in 1811? Go to the beach at Lyme Regis and find a fossil. Once you have found a fossil please measure it and tell me exactly what sort of fossil it is. When you are aware of the type of fossil please also give a brief description of what it would have looked like when living. I suggest that you have a look at my attached photographs or visit Lyme Regis museum or Charmouth Heritage Centre to help with this task. 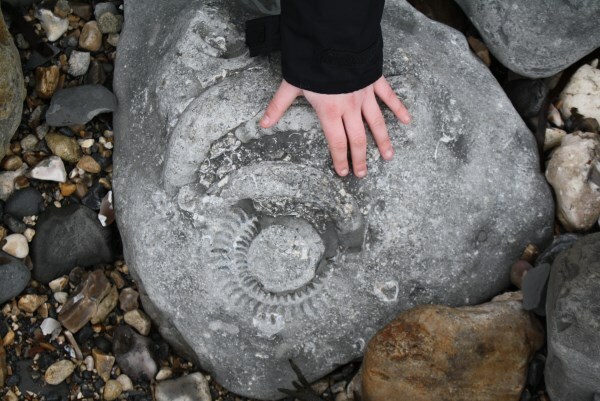 Please take a photograph of the fossil that you have found at Lyme Regis beach that day and upload it to this page ( due to changes to the Earthcache rules this is optional but would really be apprecaited). All other information should not be put on the log but e-mailed to me for clarification of a successful Earthcache. Any e-mails without the type, size, description etc will unfortunately be deleted. This is due to the educational emphasis that the Earthcache type has been designed for. We hope you enjoy visiting this beautiful area. My family has spent many happy hours here fossiling!! It would be great to see your photos on this lovely coast and photos of you with your finds would be amazing.